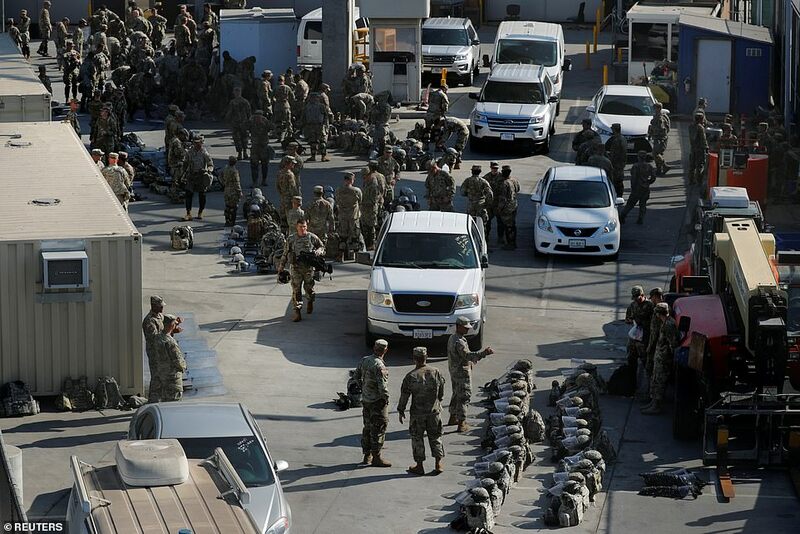 The U.S. Customs and Border Protection carried out a massive military drill at the San Ysidro Port of Entry with Mexico on Thursday. 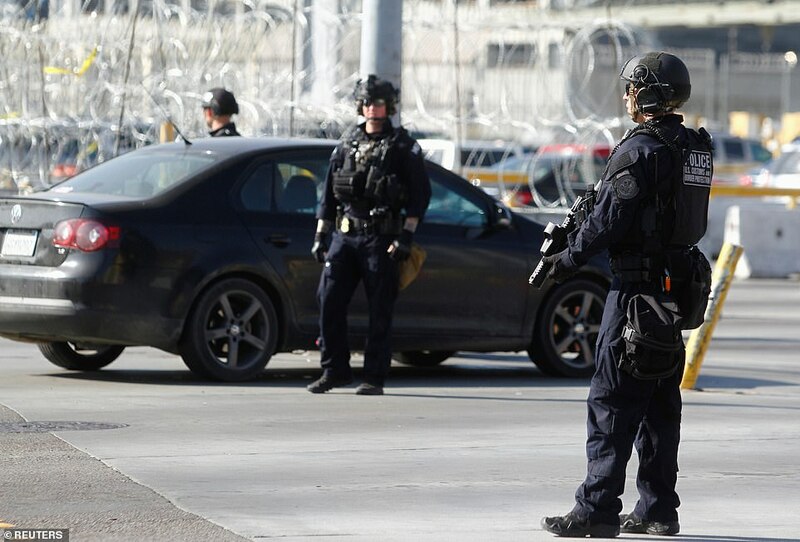 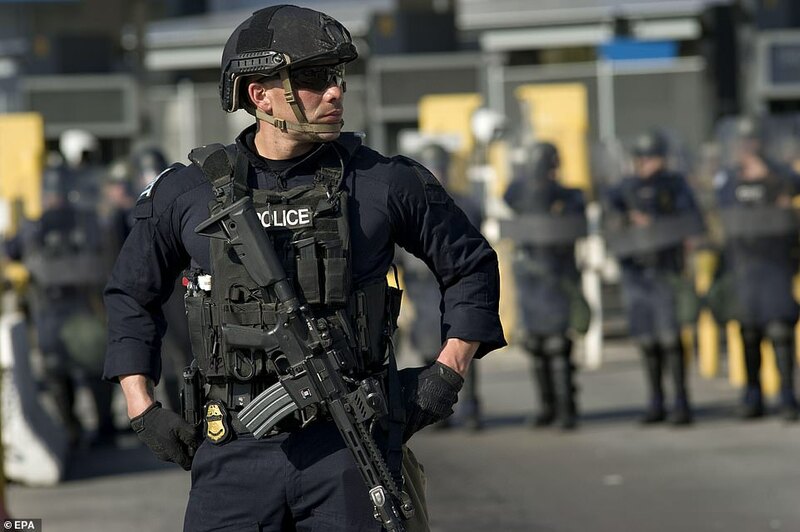 The brief, 10-minute ‘large-scale operational readiness exercise’ was conducted as part of the federal agency’s continuing enforcement efforts at the border. 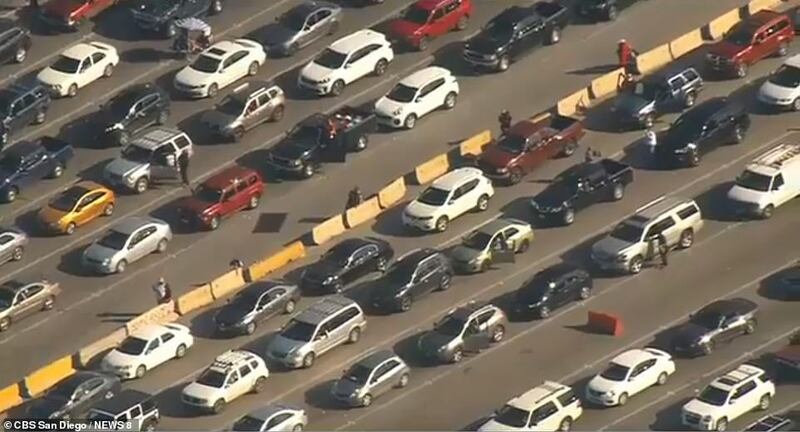 The agency warned drivers traveling through the port entry to ‘be aware of high visibility operations,’ according to a statement seen on 10 News. 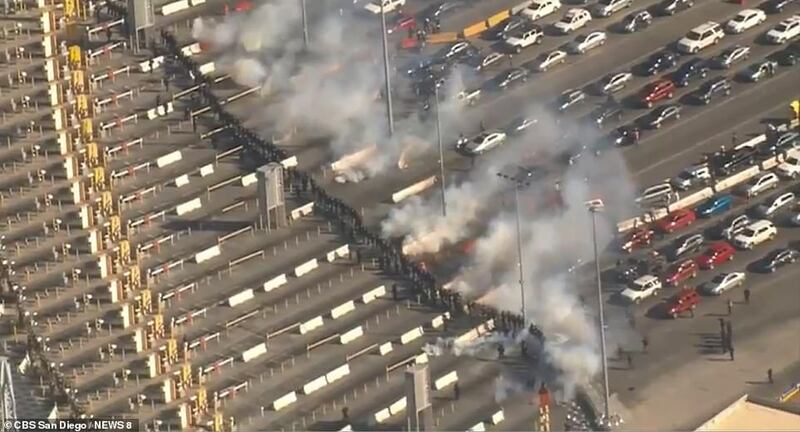 Officials are pictured marching in military gear as smoke grenades detonated and traffic was halted temporarily. 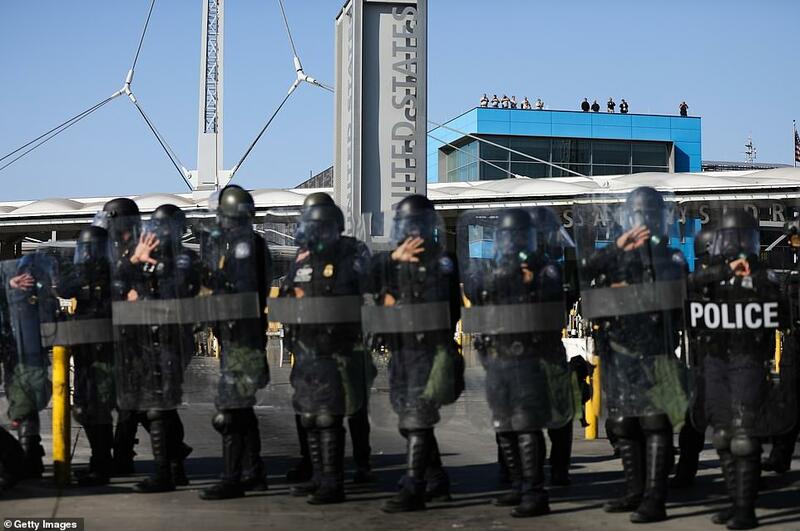 The San Ysidro Port of Entry is the busiest checkpoint on the US-Mexico border. 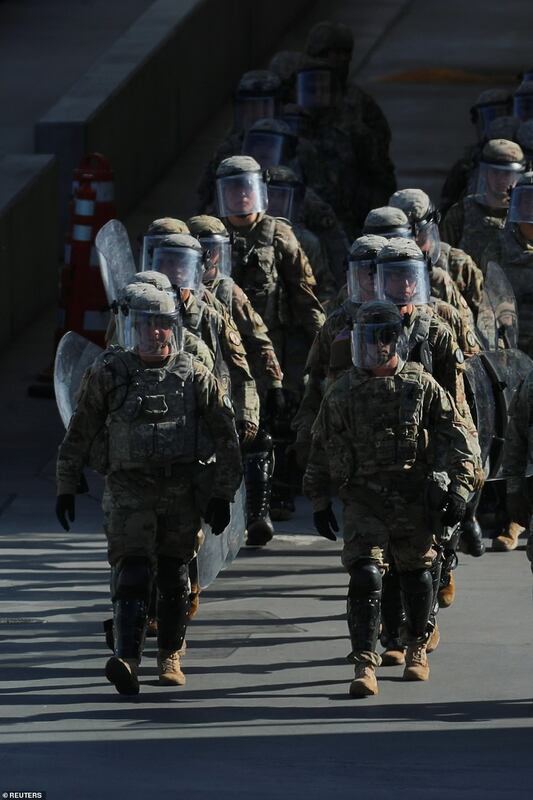 Also on Thursday, President Trump traveled to the southern border in Texas to make the case for his $5.7billion wall. 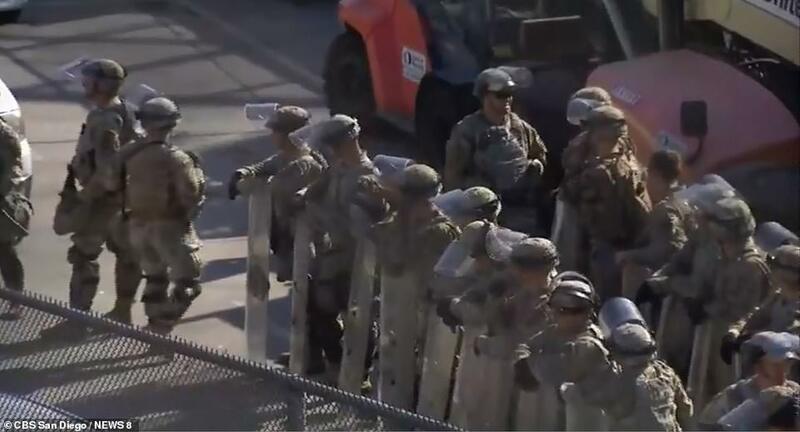 Trump arrived in McAllen, a city of 143,000 that is on the busiest part of the border for illegal crossings.